The second most important part of a bed and breakfast is, of course, breakfast! And we at Stonecroft Inn take it very seriously. No matter what's on order the morning of your visit, our breakfasts are sure to delight you between the delicious food and the rustic country ambiance in which you'll enjoy it. 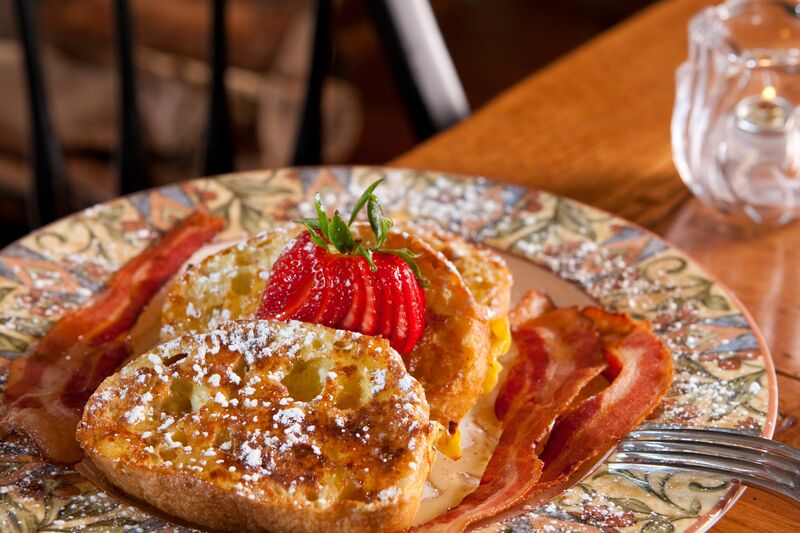 Breakfast here at our Mystic bed and breakfast is sure to be one of the most memorable parts of your visit. 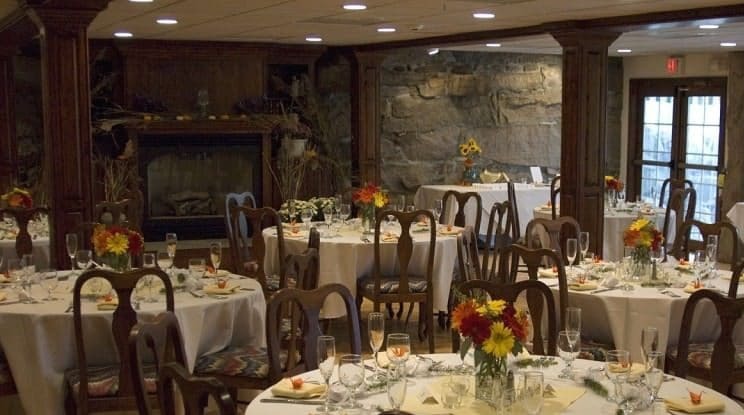 Dine at your convenience at private tables, between 8:30 and 10:00 a.m. in the dining room in The Yellow Barn or on the landscaped stone terrace overlooking the grapevine-shaded pergola and water garden. 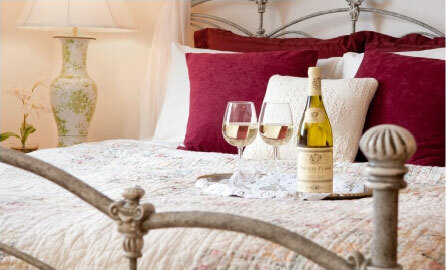 To get the full benefit of a delicious morning meal at our country bed and breakfast, click over to our Accommodations page and start planning your visit! Our sumptuous morning fare features homemade entrees prepared with seasonal, local ingredients. Savor a fresh fruit parfait, aromatic eggs, quiche, and Russian potatoes, fluffy French toast or pancakes with blueberries freshly picked from our gardens. Sounds of light jazz, flickering candles, and a beautiful fireplace add to the sensory experience. 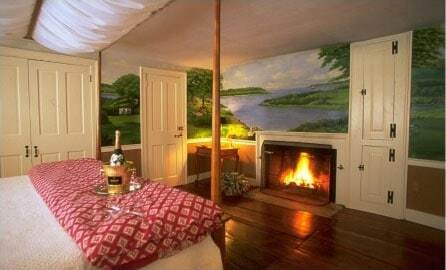 Our inspired kitchen creations will delight your senses and fortify you for a day of exploring the Mystic, CT area.